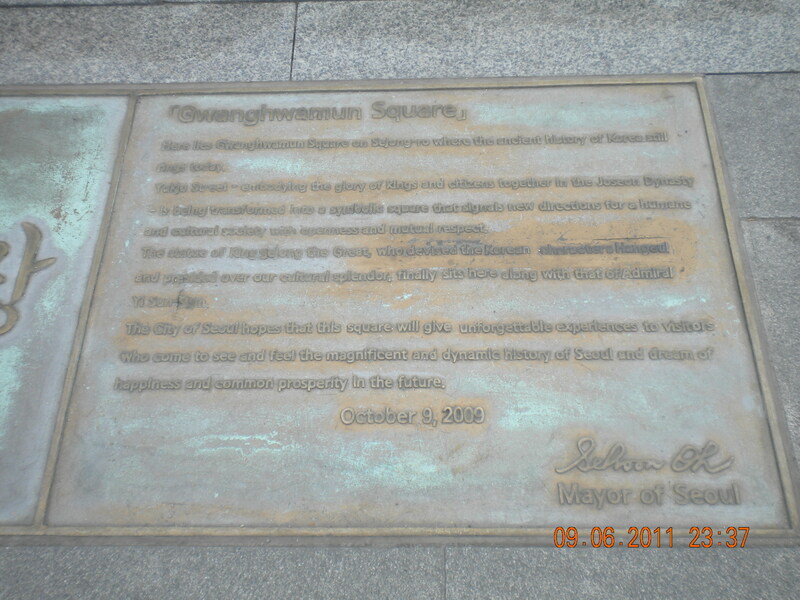 Gwanghwamun Square is located in Sejong-ro Road in front of Gyeongbokgung Palace. 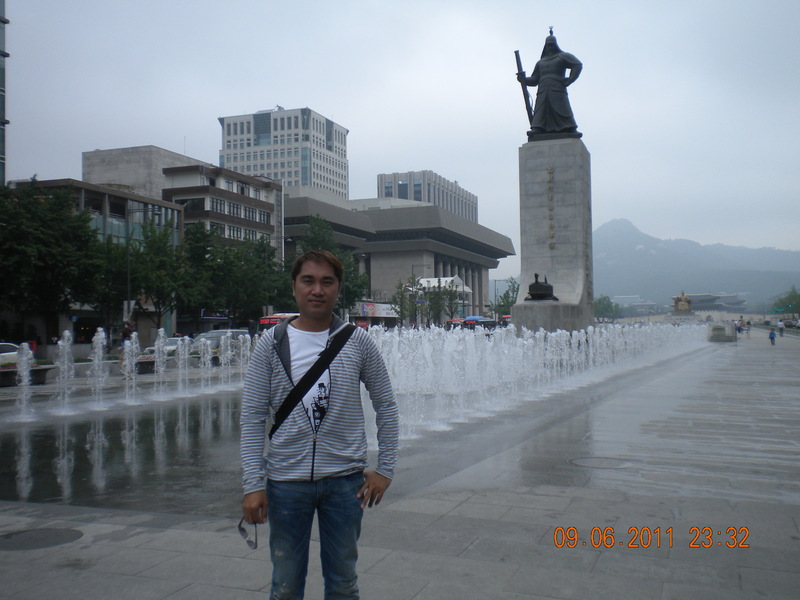 I have been here 3 times when I visited Seoul. I just love the place! 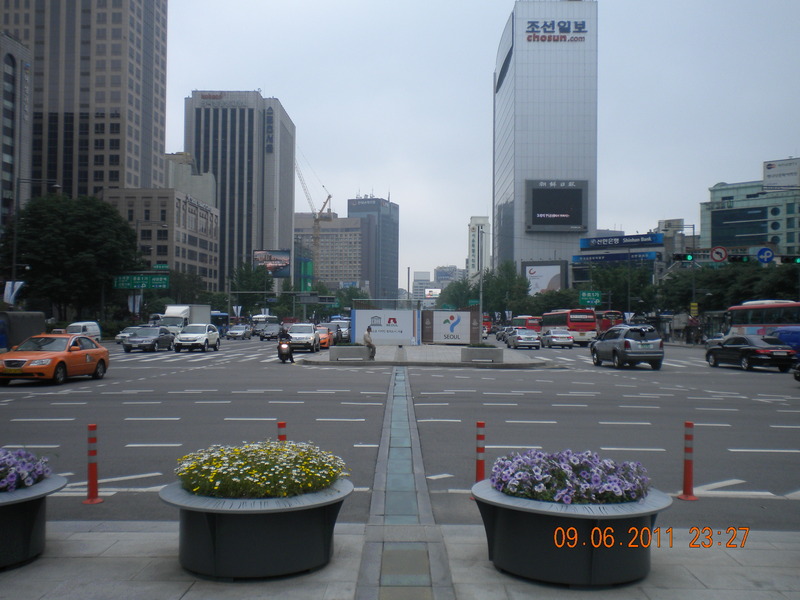 Take any line and get off at Gwanghwamun Station (LINE 5) and take Exit 2. 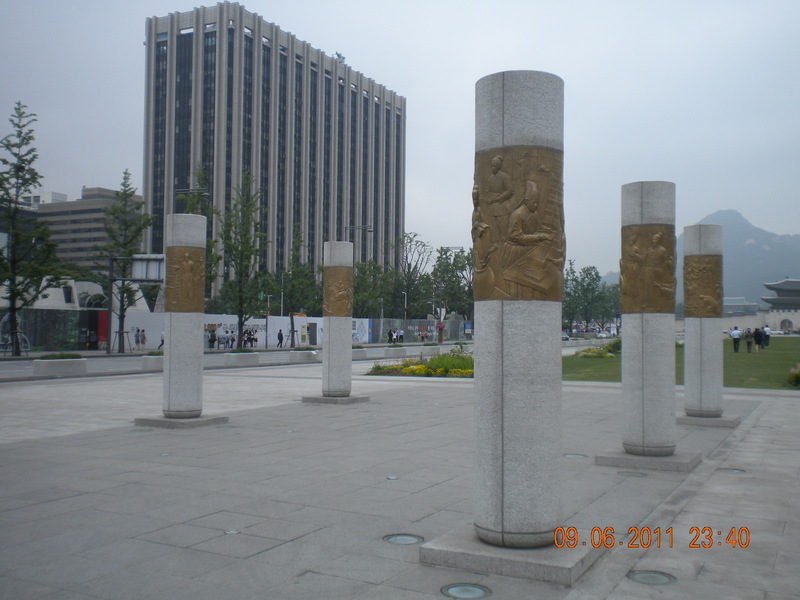 The “Recovering the History of Gwanghwamun” is at the entrance of the Square nearest Gwanghwamun Gate, where a stone base called Woldae and a statue of Haetae, a mythical unicorn-lion that is said to protect palaces from fire, have been restored. 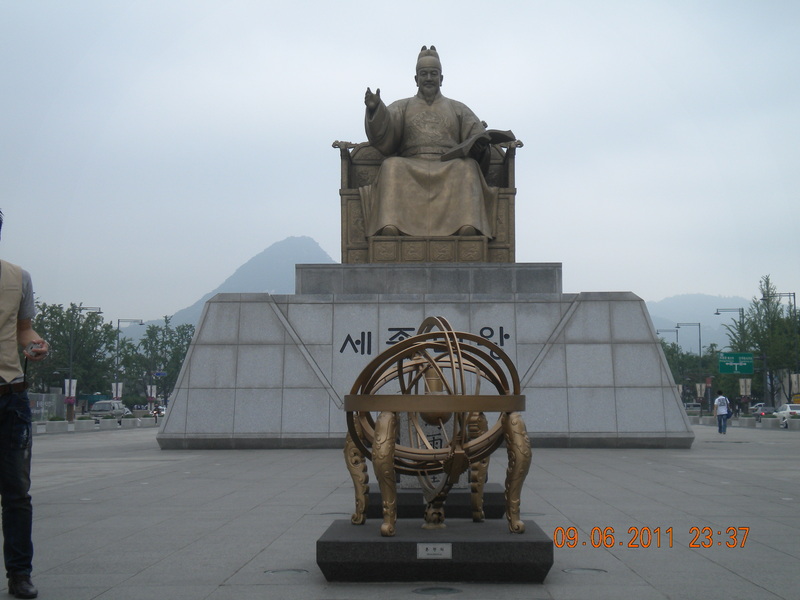 This is the statue of King Sejong who is regarded as one of the greatest Korean Kings posthumously honored as “The Great”. 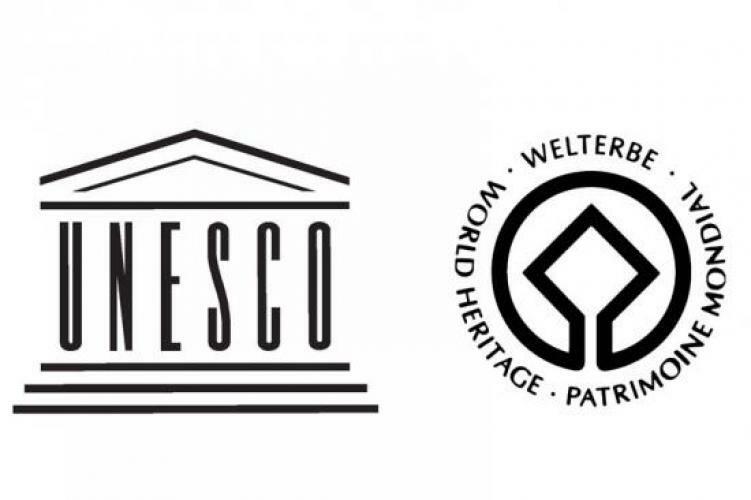 He promoted cultural, economic and scientific research. 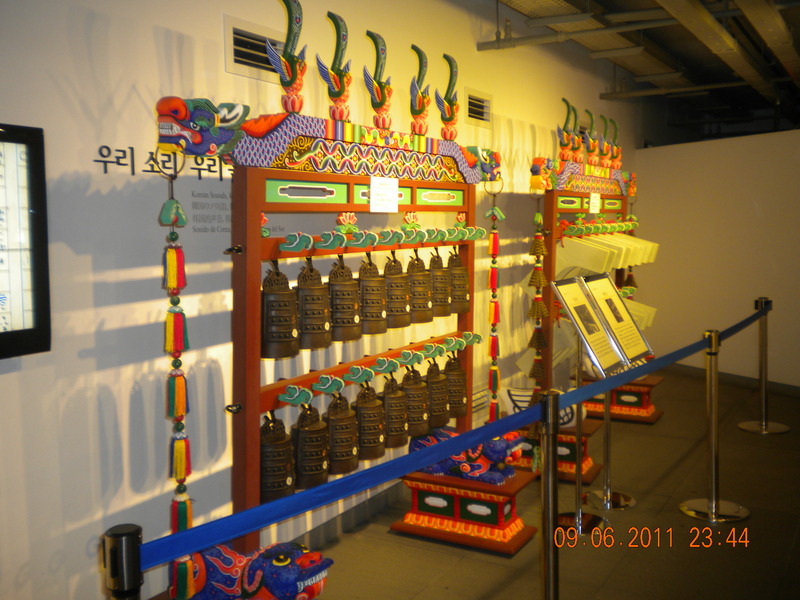 He instituted Hangul, the Korean script. 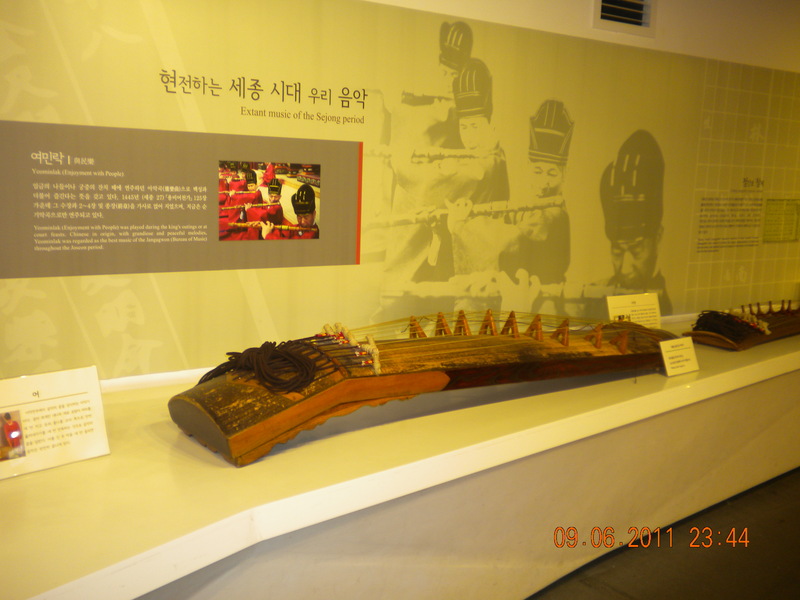 Korea today enjoys many other lasting benefits of his rule. 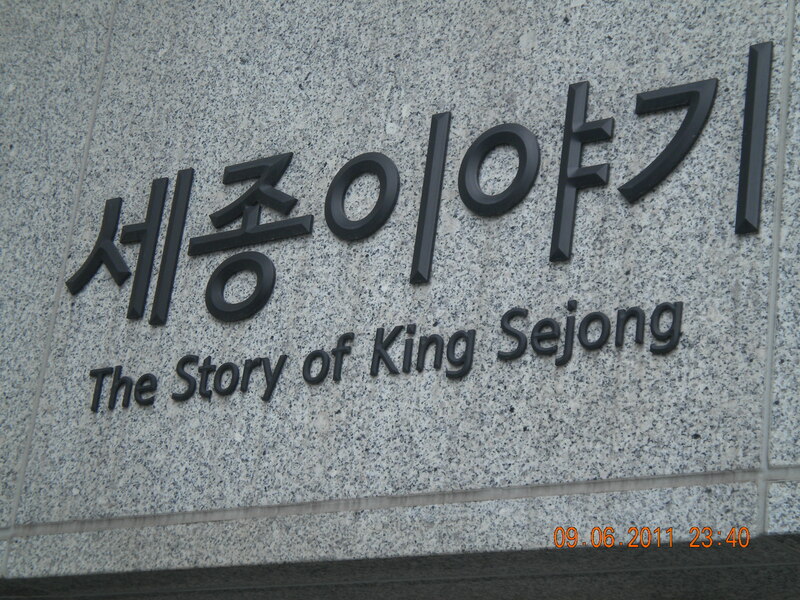 Sejong Story is a museum about the life, works and philosophy of the Great King. 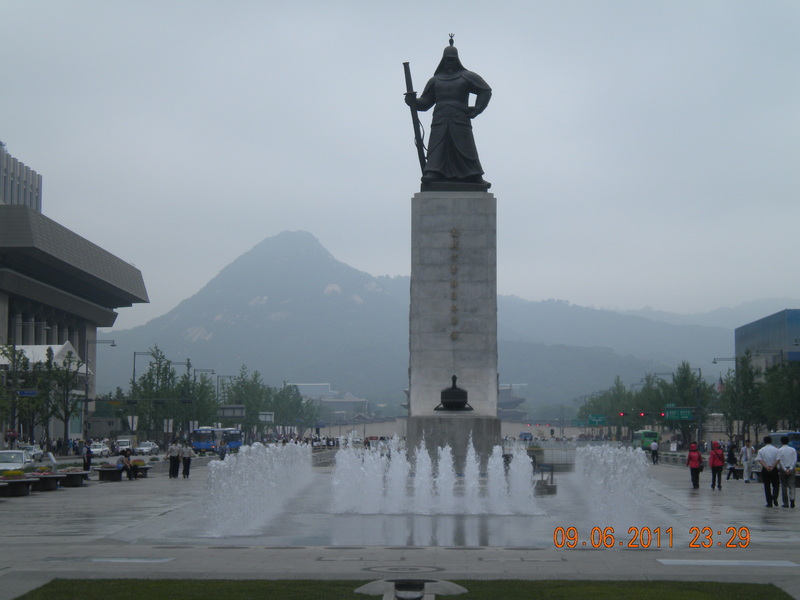 This is the statue of Admiral Yi Sun Sin who was a Korean Naval Commander famous for his victories against the Japanese Navy. He has a record of 23 wins in 23 battles and is considered among the world’s best Navy Commanders. 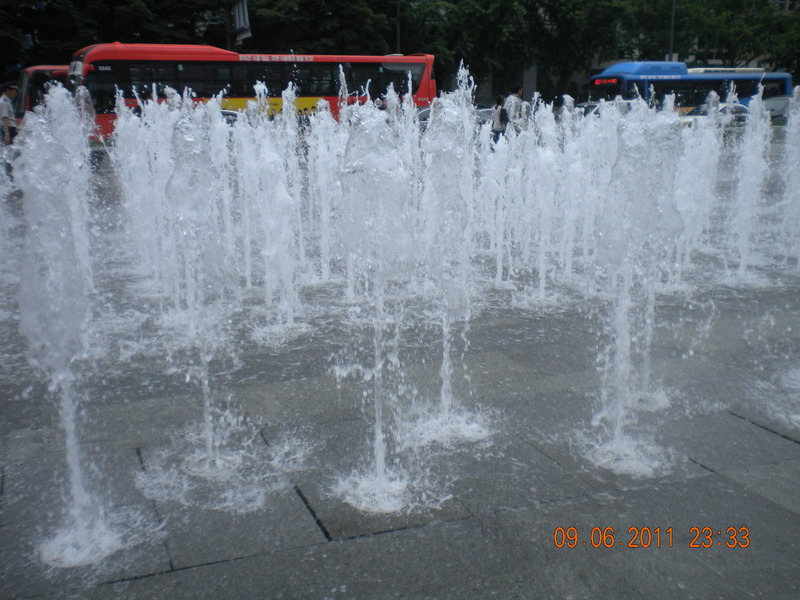 The fountain or musical fountain installed in front of the statue of Admiral Yi is officially called “12.23 Fountain” signifying the great Wyeongyang Victory of clearing 133 Japanese Ships by the 12 Korean Ships led by Admiral Yi. 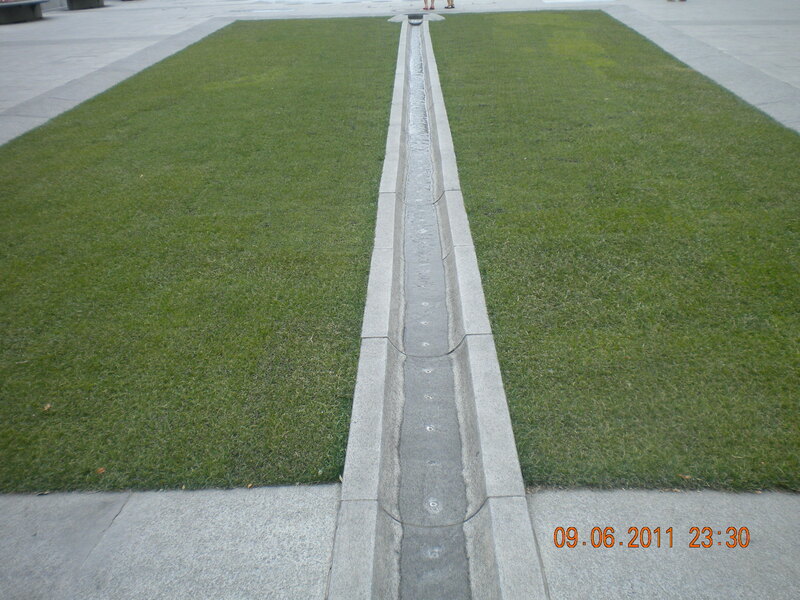 “Cheonggyecheon Stream Connector” functions as a connecting walking path between Cheonggyecheon Stream and Gyeongbokgung Palace. The Square is open 365 days a year 24 hours a day!